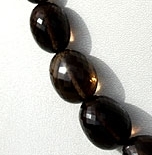 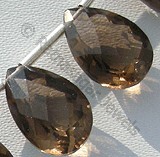 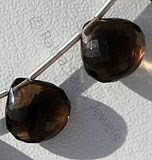 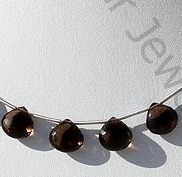 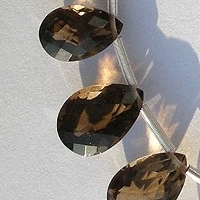 Smoky Quartz was known as a Stone of Power. 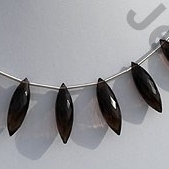 To the ancient Druids, it was sacred and signified the potent dark power of Earth gods and goddesses. 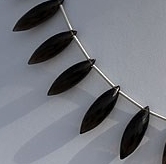 In other cultures it guided souls to the afterlife, served in shamanistic rituals and tribal ceremonies, and was utilized in magic to connect with spirits of the lower worlds. 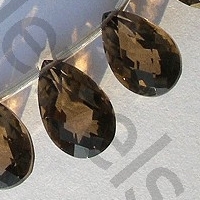 Smoky Quartz phenomenal power, then and now, lies in its ability to protect and ground one physically and spiritually to this world, and to absorb and transmute significant amounts of negative energy and release it into the Earth to be neutralized naturally. 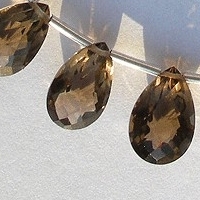 It provides a vital shield against psychic attack, emotional and environmental stress, and is used extensively in healing and meditation.Stones as phenomenal as the famous Smoky Quartz are the gemstones that are considered of high value to those who love gemstone studded jewelry. 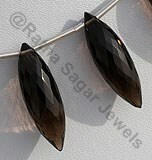 Ratna Sagar Jewels is the one place where you will get the best smoky quartz crystals in the best possible shapes, to buy them, check the online collection of Ratna Sagar Jewels. 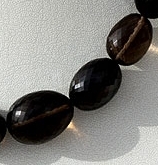 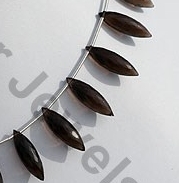 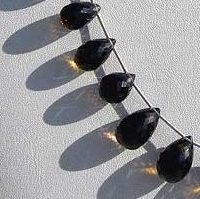 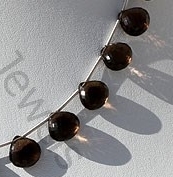 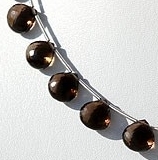 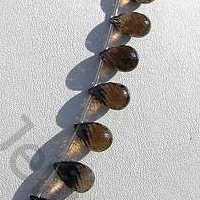 Natural Smoky Quartz Gemstone Beads possess property of transparent and are available in dark brown-black color with micro cut, Tear Drop shape. 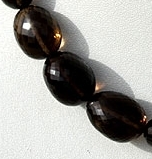 Natural Smoky Quartz Gemstone Beads possess property of transparent and are available in dark brown-black color with micro cut, long rice shape. 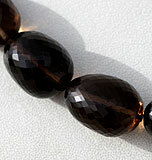 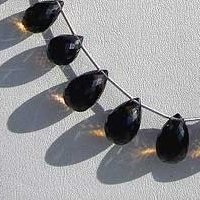 Natural Smoky Quartz Gemstone Beads possess property of transparent and are available in dark brown-black color with micro net cut, Pan shape.